Our top 10 Egypt Moments! 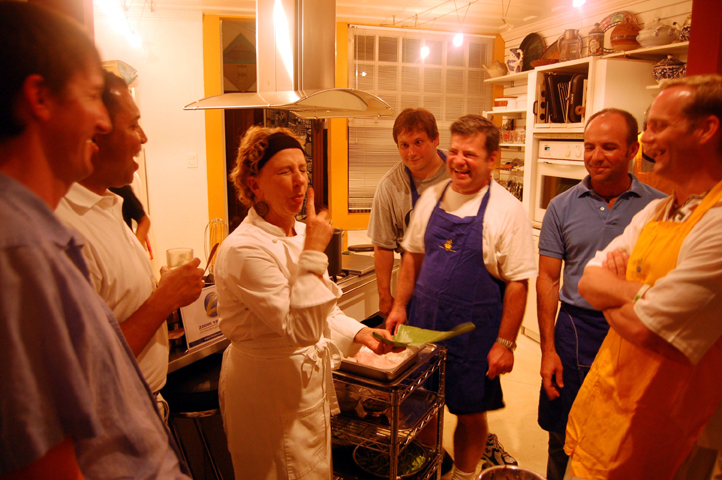 Whether it's cooking in the private home of a famous Brazilian chef, getting blessed by a real Inca shaman in a temple of Machu Picchu, or entering a private African Party on the banks of the Zambezi River by elephant back, Zoom Vacations® brings unmatched experiences, showing our travelers more than just a good time. 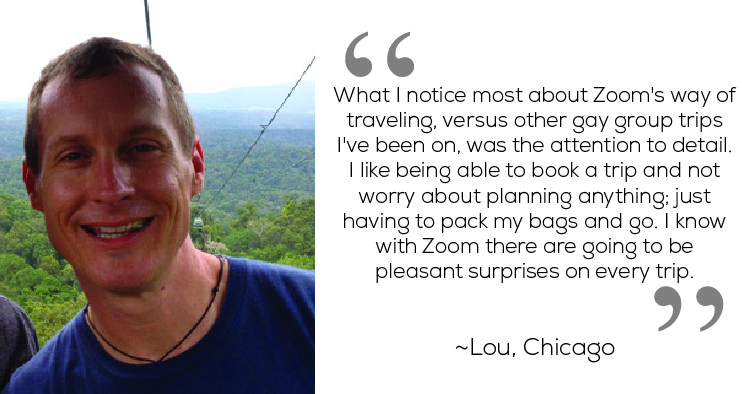 OUR MISSION: ZOOM VACATIONS CREATES GLOBAL VACATIONS THAT FEED THE HEARTS, SOULS, AND MINDS OF OUR TRAVELERS. Our travelers truly live the destination, while enjoying multi-sensory over-the-top events and excursions. Anyone can hop on a plane and visit the typical tourist attractions. That's not how we do things. 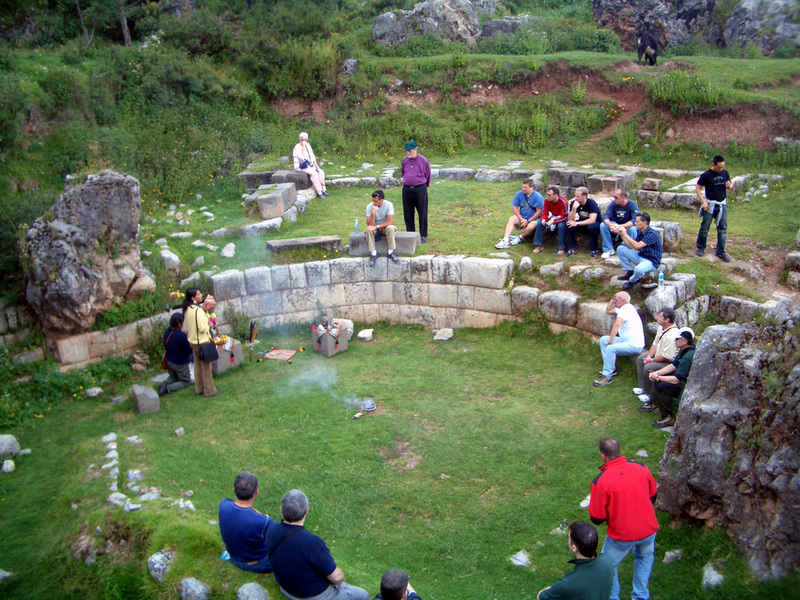 People join our tours because they want something more than the typical trip. They want to be inspired. 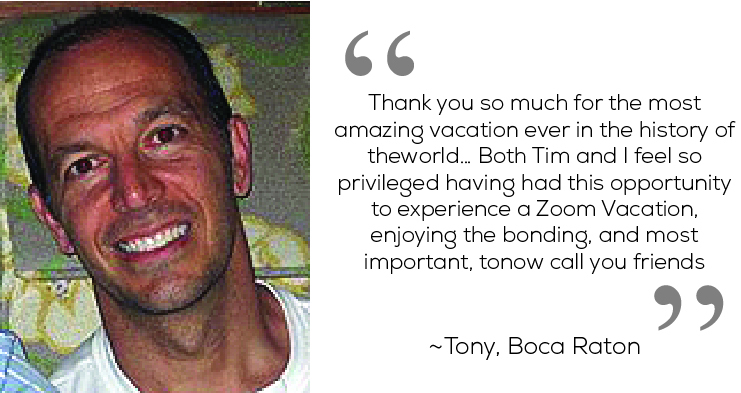 In addition to providing experiential group and independent travel for almost 15 years, Zoom Vacations is often sought for its travel expertise by such entities as the New York Times Travel Show, ManAboutWorld, International Gay and Lesbian Travel Association, Orbitz, the Travel Channel, Bump!, and many online and print publications. Zoom Cuba over New Years. Zoom Israel during Tel Aviv Gay Pride. Zoom Vietnam and Cambodia, March. Note: video will play 6 seconds after you hit "play"
Each trip was packed full with a variety of experiences that exceeded our expectations. They were very different trips, and we came away with friends we still keep in touch with today and memories to last a lifetime. I have to say, this was the best time I have ever had in my life. Every day was a new adventure. I've been traveling alone for the past couple of years; it was delightful to meet new people and make good friends. It was a trip of a lifetime. After several weeks I still feel every part of this trip was worth every dime. And it truly did change me. Gay travel has seen remarkable changes and growth in the past decade. As a gay tour operator, this change has led to amazing opportunities in the kinds of lesbian and gay vacations that we are able to provide. For instance, lesbian and gay travel is now embraced in destinations and hotels where it wasn't just 10 years ago. All gay group tours and vacations can now offer the same (or perhaps even better) quality and breadth of experiences as our straight counterparts. Zoom Vacations® offers fun, luxurious, affordable lesbian and all gay tours to the hottest destinations in the world. We understand that successful gay tours must entail personalized, sincere attention at every step of the journey, and getting to know our travelers is one of our favorite aspects of what we do. While we use the phrase gay vacations throughout this site, it may be more accurate to say that we provide gay-friendly travel (specifically gay-friendly tours). We encourage the friends and families of our gay travelers to come along, and we are always happy to assist gay-friendly travelers in any way we can. As global prejudice continues to fall, gay travel, and certainly travel in general, is evolving in exciting, powerful ways. 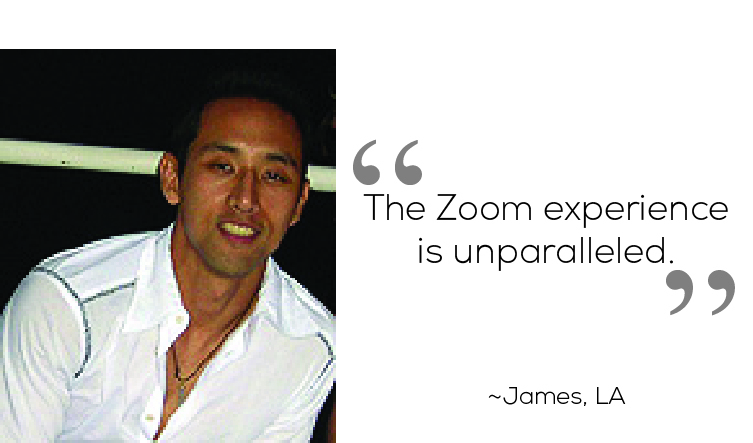 Zoom Vacations® is poised to meet this evolution, providing the most modern, fun, stylish gay vacations possible. 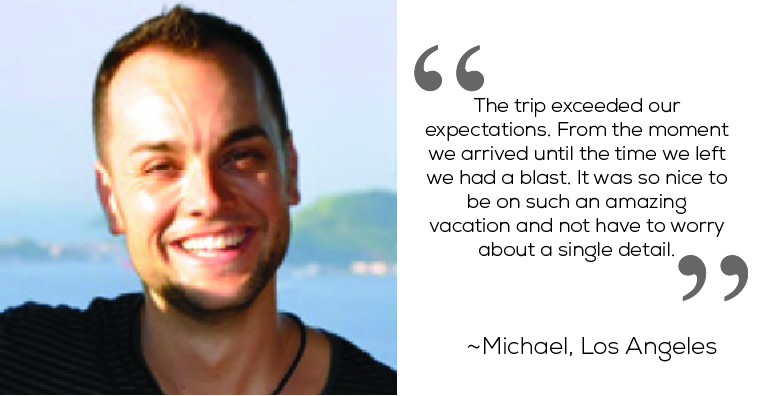 Our travelers say our trips are "over-the-top", "magical" and "the best trip I ever had". We create experiences unique to Zoom Vacations® that you simply won't find any place else. It's as if you are traveling with a best friend who lives in the destination you are visiting, and who is inviting you to the hottest events, taking you on the most incredible excursions, and introducing you to the best restaurants. 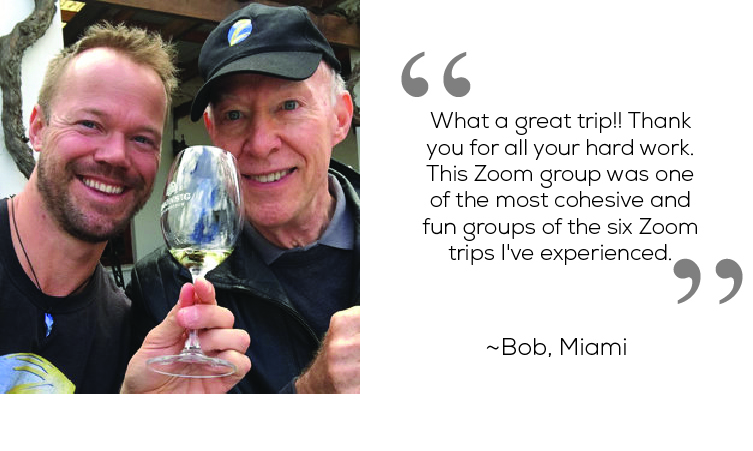 When you travel with Zoom Vacations®, you leave all prior notions of touring behind, and prepare yourself for something truly magical.